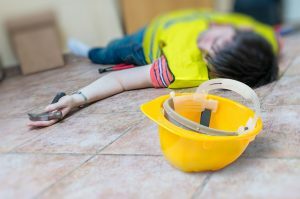 Last June the Pennsylvania Supreme Court dealt an important and justified win for injured workers in Protz v. WCAB (Derry Area School District). The High Court determined that the impairment rating provisions of the Pennsylvania Workers’ Compensation Act are unconstitutional in their entirety. In so doing the Court wiped out a section of the Workers Compensation Act used by insurance companies to limit the duration of long-term and permanent disability claims. As anticipated to some degree, the overwhelmingly conservative Pennsylvania legislature now seeks to resurrect the impairment rating process. Recently, the House passed H.B. 1840 which seeks to bring back impairment rating evaluations without the previously adjudicated unconstitutional provisions. H.B. 1840, with its memorandum entitled “Protz Workers Compensation Legislative Fix” advertises itself as the legislature’s attempt to prevent significant increases in workers compensation insurance premiums by repealing the subsections of the impairment rating evaluation law found unconstitutional by the Court. The bottom line is that the legislation seeks to bring back impairment ratings to give insurance carriers a tool to unilaterally limit the duration of permanent disability claims to the detriment of the injured work just as they had done prior to Protz. An injured worker may challenge the modification to partial disability status after an impairment rating of less than 35% so long as they produce an impairment rating determination that they carry an impairment of 35% or greater during the 500 weeks of partial disability eligibility (no change). We urge all working Pennsylvanians to contact their State Senators and urge opposition to the legislative reform geared toward capping the rights and protections afforded to our most vulnerable llong-termand permanently disabled injured workers.